DC's RPG battler just got a bunch of movie-themed content. 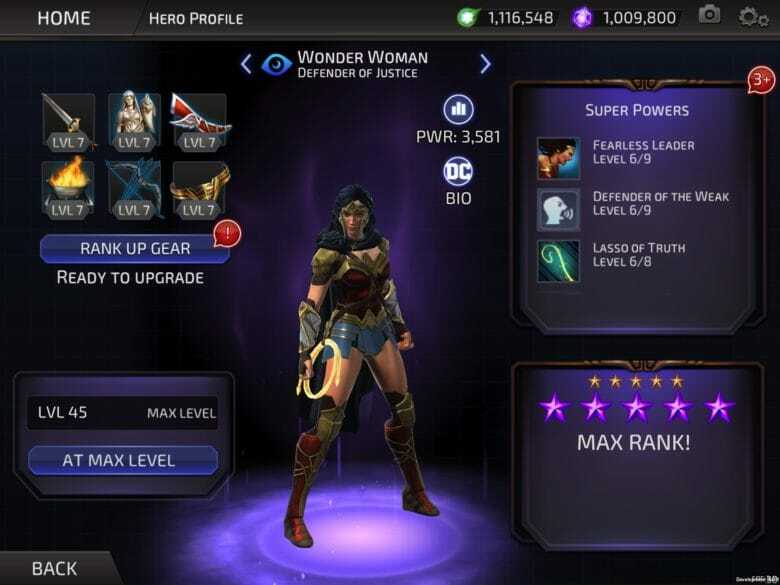 Wonder Woman is the DC Extended Universe’s best-received movie so far by a long shot, and to celebrate, Warner Bros. Interactive Entertainment has added a bunch of new Wonder Woman-themed content to its DC Legends game for iOS. An update worthy of Zeus’ daughter, for sure! The free-to-play RPG battler now includes Wonder Woman: Defender of Justice, a variant character based on the likeness of the movie’s star, Gal Gadot, along with a full month of features focusing on the Amazonian princess. If you’re excited about the new movie, and a fan of the game, it’s well worth checking out. Additional June content for DC Legends includes a 9-day Hero Challenge event, in which you’ll have to journey to Wonder Woman’s Island paradise and battle in the new Gates of Tartarus environment to earn Wonder Woman bonus features. In a shorter 5-day challenge you can also access characters Themyscira, Doctor Poison, and Hippolyta. On top of that, there are new Hero Packs, daily login rewards, Wonder Woman load screens, and a special Weekend Loot Celebration running this weekend. This means that players who log in to DC Legends between June 2 and 5 will receive 50 special bonus Wonder Woman fragments. If you’ve not played before, I’d definitely recommend DC Legends. Don’t go in expecting an in-depth RPG experience, but if the idea of an RPG-lite battler — in which you collect heroes from across the entire DC Comics universe and use them to battle a broad range of foes — appeals to you, this is definitely worth taking a look at.